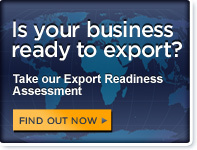 What is the Export Legal Assistance Network (ELAN)? How can I avoid having to resolve legal disputes in courts or through international legal bureaucracies? What are some of the ways to deal with a trade dispute with a foreign buyer? Where can I find information on Alternative Dispute Resolution (ADR)? Are there any additional ways to get assistance in resolving a trade dispute?